Many people cringe when they hear the word spam, either because they grew up on it and therefore developed a dislike for it, or simply because they just went along with the crowd in assuming it isn’t any good and never trying it. I’m here to tell you, it’s really not bad. 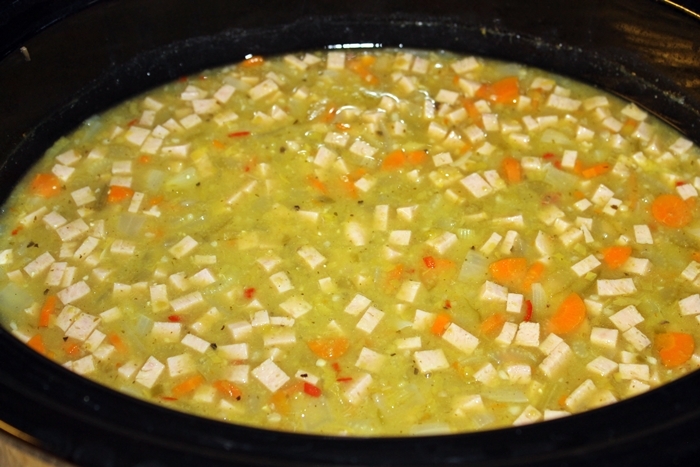 We like to make breakfast sandwiches with it and it’s great in split pea soup. If you’re looking to stretch your dollars, a can of spam is a lot less expensive than a ham. 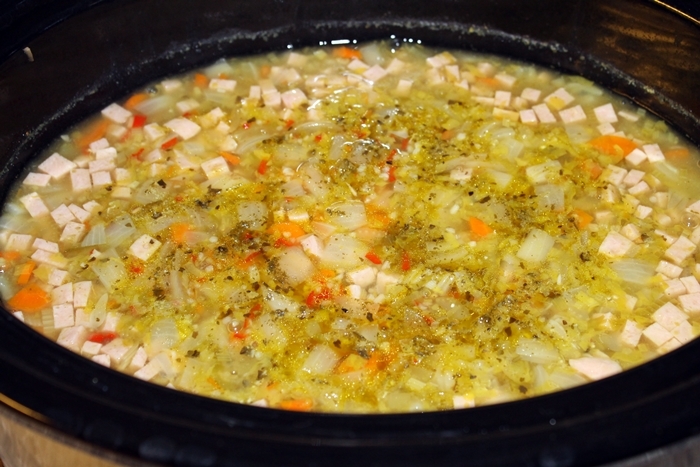 Don made a split pea soup with ham hock, leftover from last hunting season, back in August and I feel like I’ve been on a split pea soup kick since. I think we’ve made it 3 or 4 times since then. It’s so easy to make, takes very little effort, cooks in the crock pot for the better part of the day, and it’s so yummy. AND we can freeze some of the extra if we want to stretch out the meals. Although, we tend to eat it up before we get to that point though. I just made this pot on Saturday and we finished it off today. 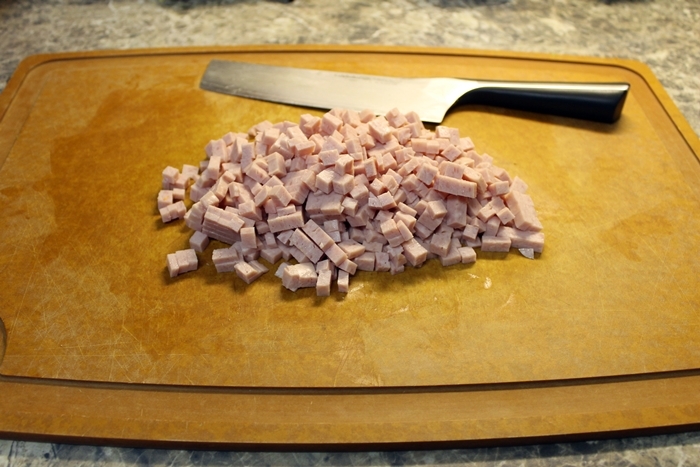 If you’re looking for a quick, easy meal this winter, I challenge you to give this a try, especially if you’ve never had spam. Go ahead. I dare you! The quantities in this are extremely variable. I used 2 carrots, 2 celery stalks, 1 whole onion, and two jalapenos from our garden. 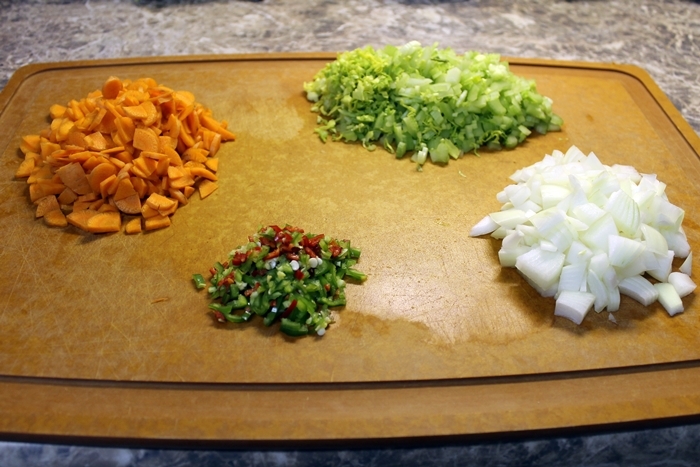 You can easily go more or less depending on how much you like a certain item and of course cutting out the spicy if you think it would be too much for you. Preparation is simple. Rinse your peas. While they drain, chop your veggies and meat. 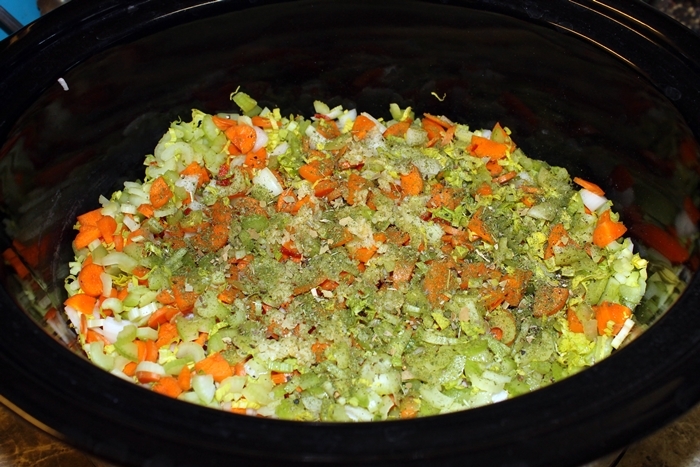 Then place everything in the crock pot; some recipes call for layering – peas, meat, onions, carrots, peppers, celery, and spices on top. Or you can just throw it all in. I’ve done it both ways and I don’t notice much difference. 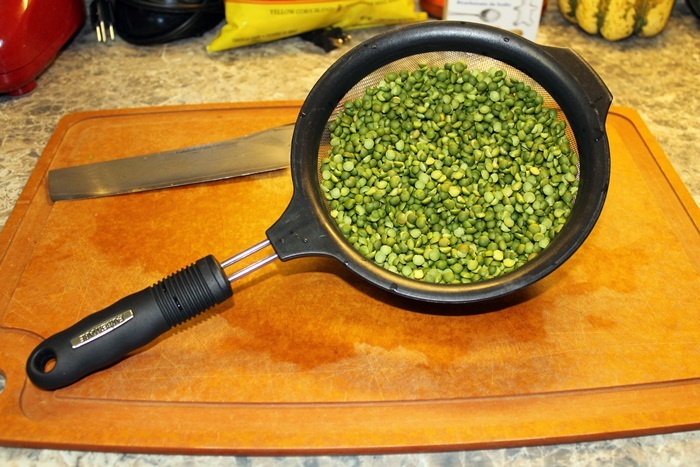 Although you do definitely want your peas to be on the bottom regardless. Then, water. The package for the peas says 6 cups of water. The last batch I made with 6 was a little too thick. Don likes his brothy and goes with 8 but that is a little too thin for my taste. I made this batch with 7 and I think it came out perfect. Pour in your water, but don’t stir! Set your crock pot to high for 4 -5 hours. If you don’t need to eat just then, turn it down to low or warm until you want to eat. Or set it to low for 8 hours to let it cook all day instead. I am definitely up for soup ideas these days because that is the easiest thing to have for dinner on Mondays and Wednesdays when I am working. LOL I hadn’t thought of that. 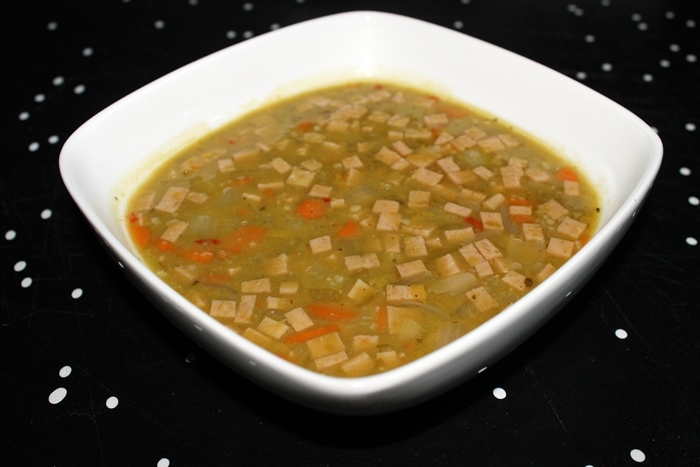 I never had split pea as a kid, but then, I hardly ate anything as a kid. Like many things I’m trying for the first time as an adult, I was uncertain at first too. But I quickly got over that. Yes, it’s green, but it tastes great! 🙂 Let me know what you think if you do try it. 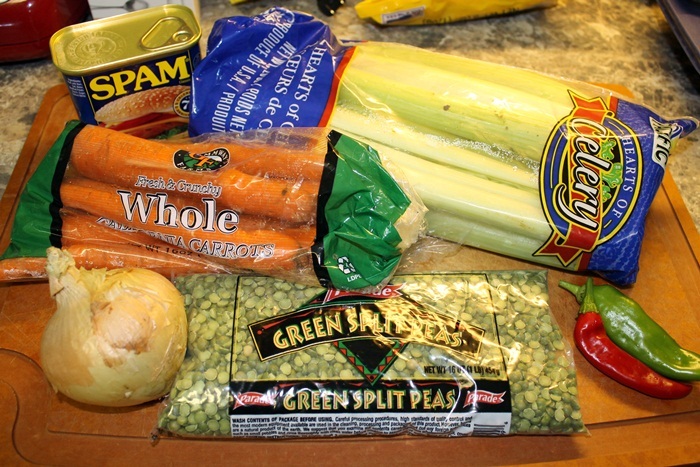 Got the ingredients but am not sure about the “bag of split peas” size. Is it a 1-pound, or 2-pound bag?